The statement that’s been thrown around the most with regards to Here Lies Man is “What if Black Sabbath played Afrobeat?” That’s one hell of an elevator pitch on its own, especially when considering the possibilities that could arise from combining deathly heavy blues with the texture and weight that comes from drawing on traditional African music. Indeed, it’s definitely enamoured plenty already given the acclaim awarded to their debut last year, and You Will Know Nothing looks to strike again while the iron is hot and continue to build on that concept. And at first, it feels as though Here Lies Man have really missed the mark. It’s stodgy and lacking in real content, and the vaunted Afrobeat influence comes across as little more than a semi-instrumental blues-rock album with a few more percussive tendencies. Digging deeper though, You Will Know Nothing begins to reveal more with each listen, as complexities and stark senses of groove and flow unravel into a truly captivating, infectious listen. And a lot of that comes from the heavy focus on percussion and its utilisation, playing to clave rhythms prominent in Afro-Cuban music to lend a deliberate sense of pace to tracks like Blindness and Fighting that’s so more alive and vibrant that a lot of blues-rock. It makes up the difference between You Will Know Nothing and the majority of the genre’s modern output, especially given that not a lot changes with Here Lies Man if it’s taken away. At it’s core, this is a very standard approach towards the genre, with similar tones and production styles that wouldn’t offer a lot to a more standard release. As such, it feels as though the band could’ve upped the ante a bit; what they’ve got is good in it’s consistency and doggedness to create an immersive, atmospheric experience, but with a track like Memory Games where the distinction in composition is less obvious, and the vision somewhat breaks. But even so, there’s such enormous scope and talent within this album that it barely matters, and You Will Know Nothing manages to succeed as a fully-formed body of work regardless. And in a way, Here Lies Man find ways to do more with a blues-rock / Afrobeat fusion than most lesser bands would; the two are actually integrated rather than a lazy stapling of two genres that does justice to neither. That alone makes You Will Know Nothing a worthwhile listen, but the fact that it’s a gripping, cohesive work only makes it all the more worthwhile. It’s definitely a grower, but give it time and there’s plenty to dig into here. 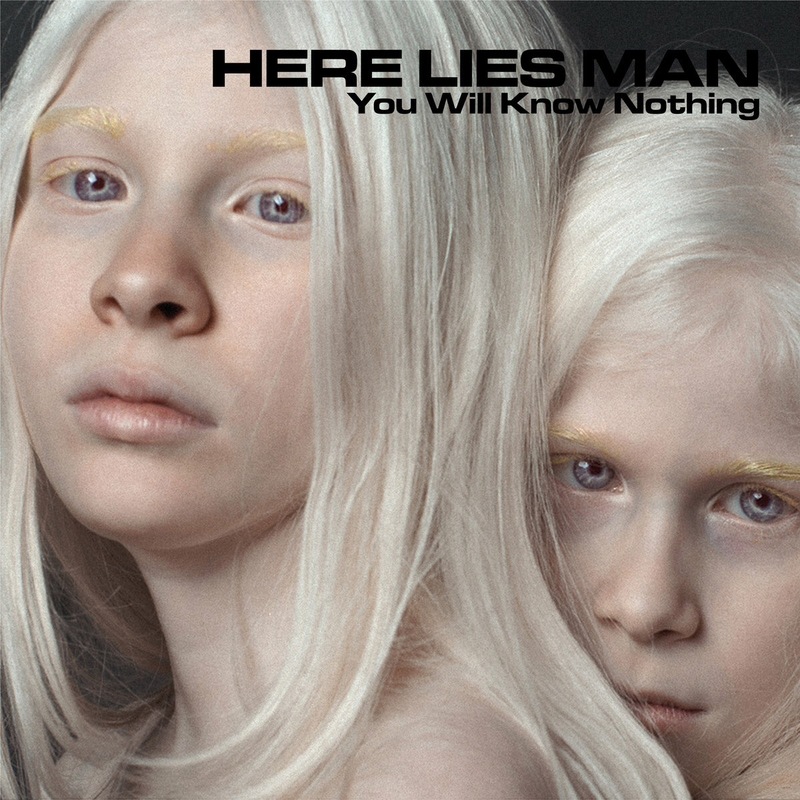 ‘You Will Know Nothing’ by Here Lies Man is released on 15th June on RidingEasy Records.